Fresh air for air conditioning. Motivated, dedicated employees are the backbone of a successful company. Rely on the expertise of the TROX ACADEMY and be at the forefront of progress in ventilation and air-conditioning technology. Innovative solutions and individual advice – the TROX ACADEMY provides its employees with an extensive range of seminars in an effort to continuously encourage the development of professional skills. For the various target groups including architects, specialist consultants, installers and equipment manufacturers, tailored events are offered. Here they get first-hand information on the trends and developments of building services. 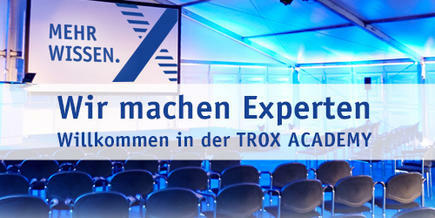 The range of seminars offered by the TROX ACADEMY is more than just a training concept: for over six decades, our customers and partners around the world have placed their trust in the integrity, competence and sustainability of cooperation with TROX. 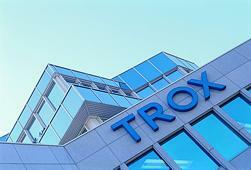 You, too, can trust the visionary ideas of TROX and be inspired by innovative excellence. DIRECTIONS How to find us. Locations A strong team worldwide.